Ask someone who’s worked with Nic Kusmich what he does. They’ll tell you he is the expert when it comes to Facebook advertising and gets outrageous ROI for his clients. Ask Nic what he does and he’ll tell you something different: he brings people together. That’s what Nic did for Ty and Charlene Bollinger, a couple who came to him asking if Facebook ads could help spread the word about their documentary, The Truth About Cancer. As Nic quickly learned, this wasn’t just any film. It was a passion project that came about when Ty and Charlene lost six people in their family to cancer over a twelve-month period. Nic used Facebook ads to get The Truth About Cancer in front of millions of viewers. More importantly, he connected Ty and Charlene with people who needed to hear their message. Nic wanted a book but couldn’t imagine writing one. Nic’s desire to write a book stretched back over half a decade. He knew a book could help him reach a wider audience with his ideas about how businesses can build authentic relationships with customers using Facebook. He also felt an obligation to share what he knew about the shifting marketing landscape so that important messages being shared by people like Ty and Charlene wouldn’t be overlooked. Writing a book is a massive undertaking—you don’t have time for that. Who are you to think you can write a book? You don’t have enough to say. You aren’t creative enough. And yet, as more and more people asked Nic if he had a book they could buy, the voice of his inner critic quieted. He finally realized he had everything he needed to write a book. No longer would Nic be the obstacle between him and his book. It was time to get started. The blinking cursor taunted Nic when he sat down to write. Fearing nobody could capture his voice, Nic first tried to hammer the book out himself. He got two pages in before he abandoned that idea. Despite his best intentions, he knew he didn’t possess the self-discipline to carve out time each day to write. He also lacked a process for translating the ideas in his head into words on the page. But instead of giving up, Nic tried a different approach. He pulled together some of his teachings on effective Facebook advertising and sent them to a ghostwriter to see if a book could emerge from the chaos. Two weeks into that process, Nic realized this approach wouldn’t work either. Now 0-for-2 in his attempts to write the book, Nic’s confidence was fading. He knew he had a book inside him, but he needed a different kind of process to bring it out. Nic worried his book wouldn’t truly capture his voice. Nic found what he needed in a conversation with Scribe co-founder Tucker Max. After listening to Nic describe the fears swirling in his head, Tucker assured Nic his feelings were normal. When Nic heard about Scribe’s process for getting books out of people like him, he was sold. On top of that, Nic had friends who’d written books with Scribe and experienced the kind of results he wanted. Given Scribe’s track record, Nic felt confident to take the plunge. However, that confidence was quickly punctured by an old fear. In Nic’s mind, that fate was far worse than not writing a book at all. The Scribe team helped Nic deal with his perfectionism. Given his fears coming into the process, or perhaps due to his past experiences trying to write his book, Nic secretly expected the Scribe method to be slow, buggy, and difficult. What he got was the exact opposite. One after the other, he completed each part of his book. Outline—done. Content calls—done. First draft of the manuscript—done. What would’ve taken him years on his own took just weeks working with his Scribe team. That’s not to say the process was smooth sailing the whole time. Used to being the efficient one in any given process, Nic was surprised to find he was the bottleneck in writing his book. The first draft didn’t quite capture his voice the way he hoped. Instead of falling back into his old fears and doubts, Nic voiced his concerns to the Scribe team, who worked with Nic during revisions to nail his voice. When he received the revised draft, he held his breath as he opened it and began reading. The further he got, the more relaxed he became. The voice, once flawed, was now perfect. The ROI generated by Nic’s book far exceeded his expectations. 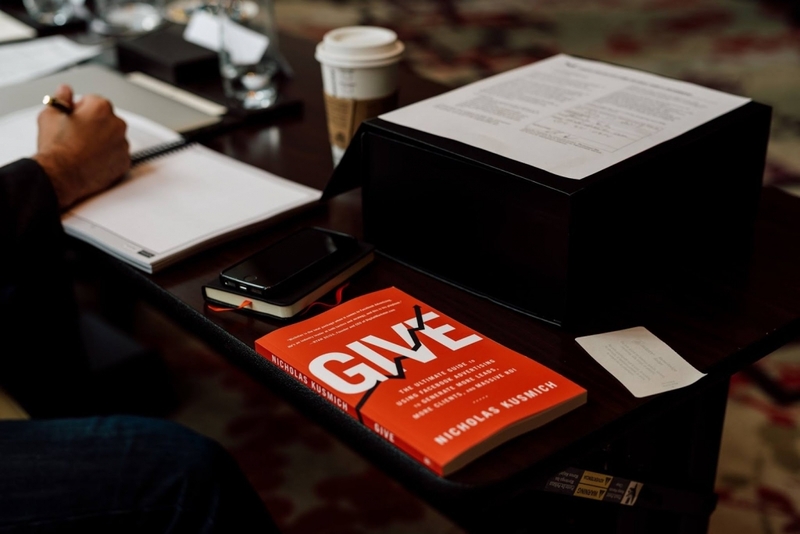 Nic’s book, Give, launched in February 2017. Since then, it’s been responsible for a huge chunk of the new business Nic’s received, including several exciting speaking opportunities. Starting out, Nic was asked to speak to the Entrepreneurs’ Organization (EO) chapter in Fort Worth, Texas. From there, he was invited to speak at EO’s global leadership conference. That’s when the biggest door opened: a 10-city speaking tour in the Middle East and Africa. Nic knows that sequence of opportunities never would’ve happened without the book. 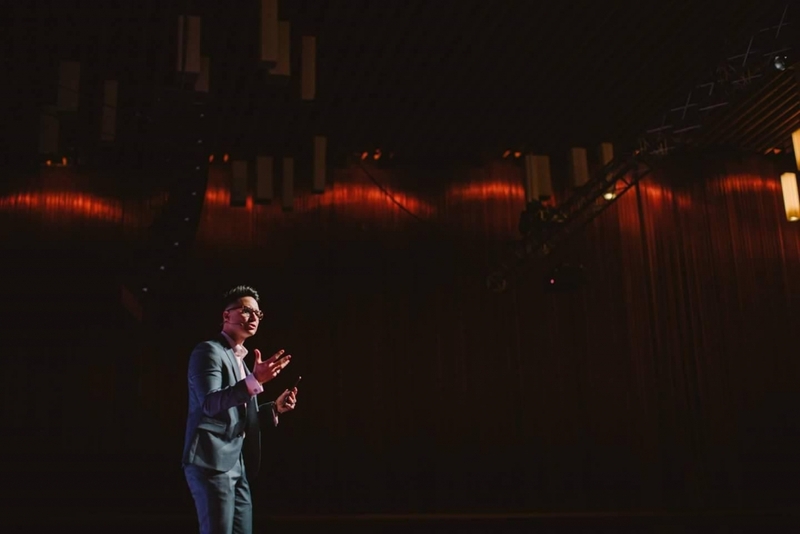 It addition to ramping up his speaking career, Nic’s book has brought new high-dollar clients into the fold. In the first eighteen months, his book drew over twenty people to his $10,000 two-day experiences. 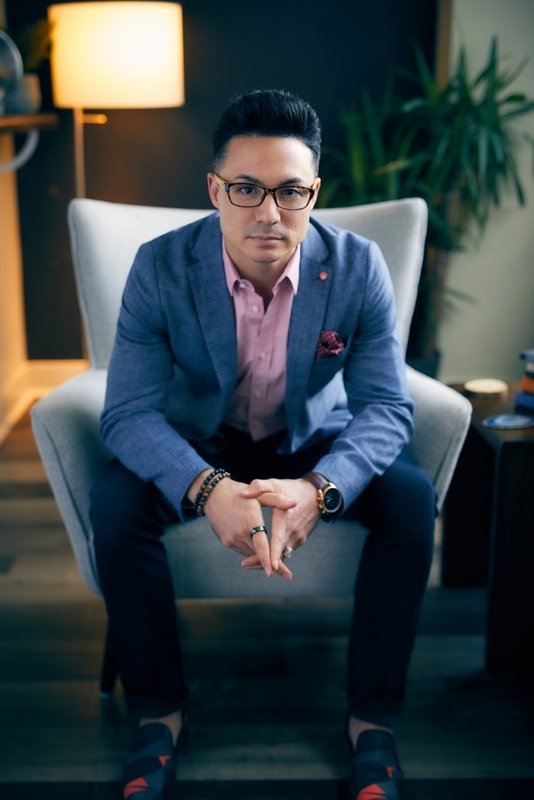 He also added five $100,000 agency clients and two consulting clients worth between $25,000 and $50,000 apiece, pushing his new business well over $750,000. For a man used to delivering insane ROI for clients, Nic has been shocked by the results his book has generated. He’s also been amused by the shift in how people perceive him. Nic loves meeting people whose lives were changed by his book. 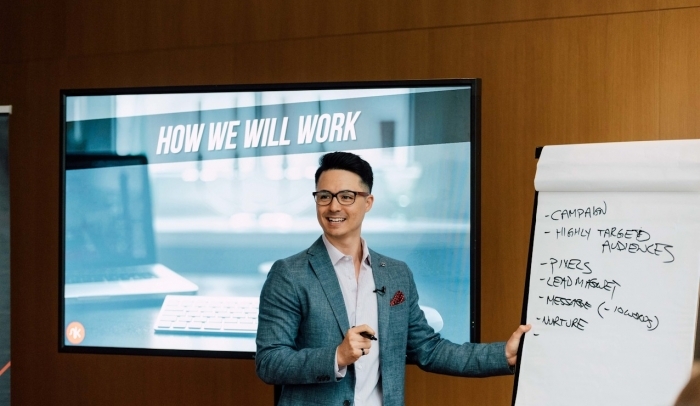 Like many authors, Nic never gets tired of the Instagram posts of people reading his book on the beach, or the LinkedIn messages from entrepreneurs who made meaningful new connections or saw huge business growth after they implemented his Facebook advertising strategies. But one story sticks with Nic the most. After he finished a speaking engagement, Nic grabbed dinner with some friends. As they finished their meal, a 17-year-old server approached Nic’s table. Back at his hotel that night, Nic couldn’t stop thinking about what the young man had told him. He knew his book was making an impact on people’s lives and their businesses, but to see it change the course of someone’s life up close like that—it totally floored him.